With so many wallets to choose from, there’s a wallet style for every type of man. We’ll help find your perfect match. A wallet’s just a wallet, right? Wrong! There’s an old saying that a man is only as good as his wallet. Or maybe I’m getting confused with what’s in his wallet? 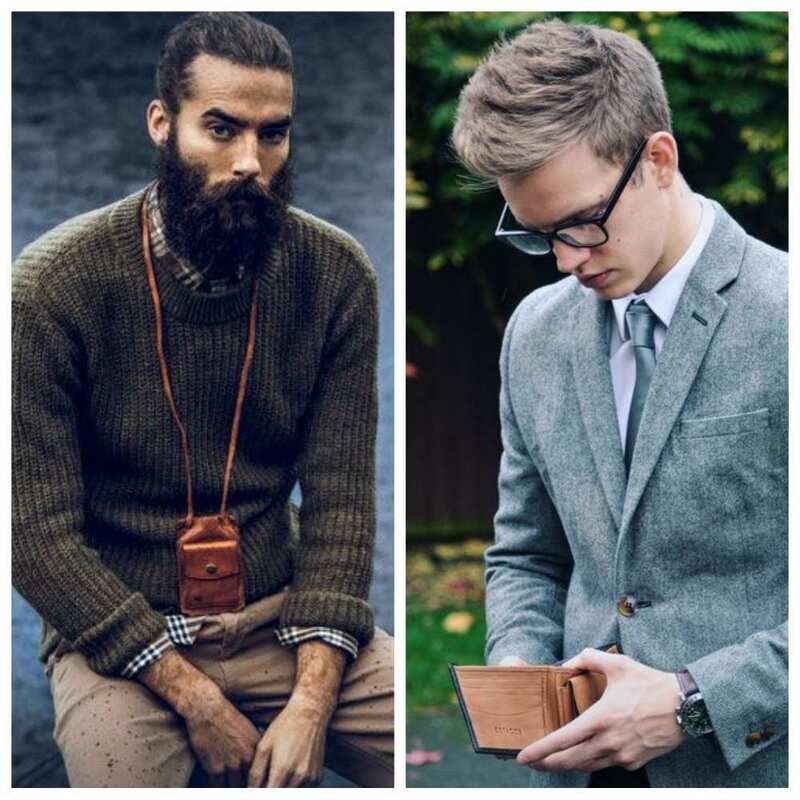 Either way, wallets are a timeless, stylish accessory and a vital investment for any pocket. But it’s not all about looks. Your wallet shouldn’t just look great, it should also be as practical as possible. 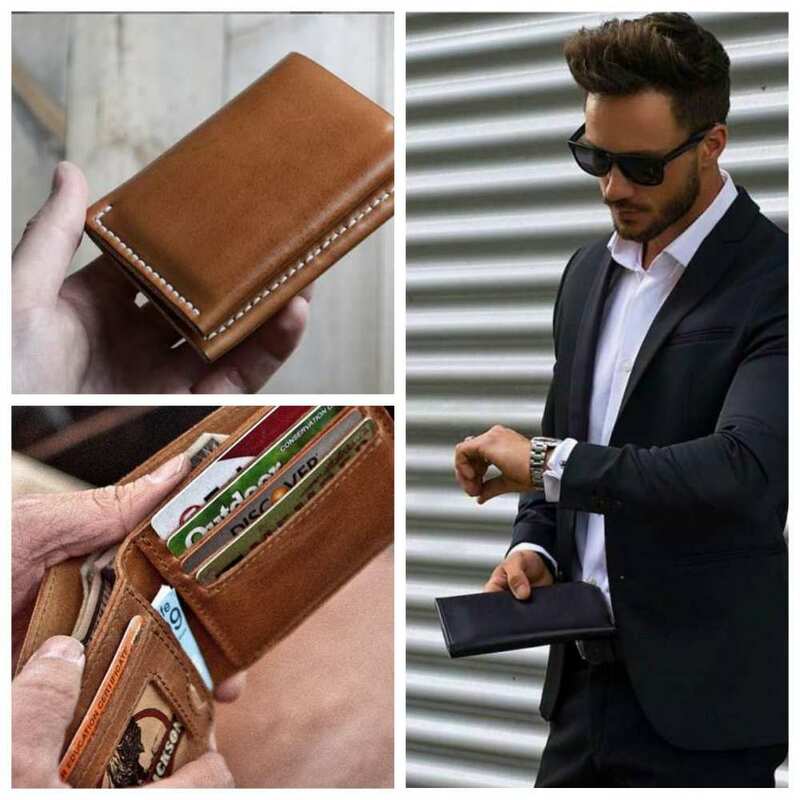 There is a different type of wallet for every type of man. So picking out a wallet is not as simple as it may seem. Reach into your pocket and have a look. Is that old, shabby bit of leather in need of an upgrade? If the answer is yes, we’re here to help you decide what style will suit your needs with our selection of some of the best wallets around. To decide what wallet is best for you, we need to know what’s in your wallet right now. Do you carry a lot of paper cash and coins? Or do credit and debit cards suffice? There is nothing worse than an overfilled wallet, bursting at the seams and looking bulky in a trouser leg. Over filling a wallet does not only look ugly but also damages it reducing its lifespan. As we said before, wallets are timeless. 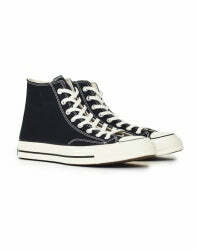 When treated right, they can last decades and will most likely still be in fashion. Taking the time to research a wallet, is time well spent. Does it meet my practical needs? Is it size appropriate for where I want to keep it? The last important point is, use your wallet to really make a statement. If you’re a stylish, on-trend kind of guy, make sure your wallet reflects that. Have a little fun while you're at it. With so many different wallets on offer, you don’t have to settle for bog-standard. It’s hard to go wrong with a bi-fold. There’s a little something for everyone. A place for paper cash, some slots for your plastic, sometimes there's a zip compartment for your coins and more often than not, a little plastic window to keep your driving licence or picture of the family. You know, in case you forget what they look like! This Mala Leather wallet is the swiss army knife equivalent in the bi-fold world. The compartment for your notes is accompanied by a zipped fold (for the things you really can’t afford to lose) a little pouch for loose change, an ample amount of space for all your plastic and also, the little transparent window for your ID/personal photo. This classy little leather wallet brings style and practicality together and will literally go with any outfit. 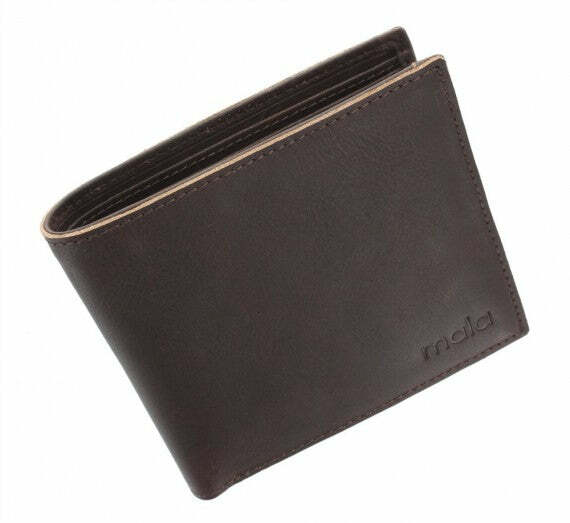 Casual or smart, this small wallet for men will not look out of place and is one of the best leather wallets for men on the market. The bi-fold is the easiest wallet to over-fill. There are so many compartments to tuck things away, it’s easy to hoard receipts, business cards or copper coins. If you wear more slim fitting clothes, this can really bulk out your pockets and ruin a look so it's not ideal for those who prefer a thin wallet. If you’re organised and can resist the temptation to hold on to receipts from three years ago (you know, just in case...) then the bi-fold could be for you. However, if you’re a known hoarder, you’re not alone. I still have the warranty for my Nokia 3310 from 15 years ago. This wallet may turn into a substitute for a bin and probably should be avoided. The slim fold wallet is super sleek and has an added ‘cool’ factor. It’s the perfect example of ‘less is more’ making it one of the best stylish wallet options out there. The slim fold is very similar to the bi-fold with the same basic construction. The only difference is that it’s slim. 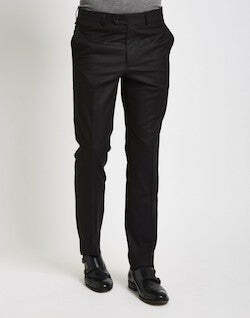 It’s great for any bloke rocking the skinny jean look as it can sit discreetly in the pocket without making a fuss. The Herschel - Roy Wallet oozes style. Although slightly on the casual side, the colour, fabric and added ‘Herschel trademark’ label screams sophistication making it a great slim, minimalist wallet option. The signature stripy lining adds a bit of fun to this typically classic wallet. 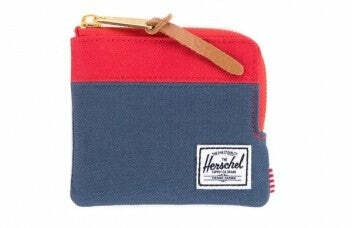 Herschel also offers the same wallet in a navy blue with red lining if black is too humdrum for your taste. It gives you plenty of space to collate cards and notes, but not enough space to be tempted to keep pointless bits of paper. You’re limited for space with the slim fold. If you carry wads of cash (lucky you) you’ll soon run out of space and will risk stretching the fabric. This will result in notes or cards falling out and no one wants that. 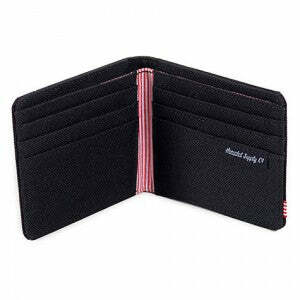 Although it’s more on the casual side, the zip around wallet is fantastic for all the cautious lads out there. We’ve all been there, on a night out, had a little too much to drink and suddenly you’re £30 short. Did you spend it? Or have you lost it? No need to question yourself with this wallet style. The zip offers security in knowing that no cash will escape unless you want it to. It’s also a perfect place to keep keys, fobs and other valuables all together making things harder to misplace. Another factor that makes this style so great, is that no coins are going to tipple their way out of your wallet and into your pocket and end up in the washing machine. This is a common problem we all want to avoid. Broken appliances - angry family members. The Herschel Johnny wallet is a wonderfully sized zip around coin wallet, making it discreet yet practical. With card slots on the interior and the signature stripy lining, this wallet is fantastic for someone who wants something a little different. The vibrant colours make this zip around hard to ignore and will add some character to any get-up. 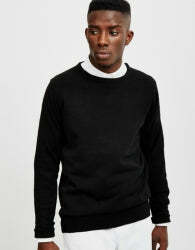 Although the zip is a fantastic addition, it can catch on loose clothing and could potentially damage the fabric. But if it’s going straight into the back pocket of your jeans, you’ll be good to go. It is also a very casual wallet. Possibly not the best thing to pull out when paying for coffee in a business meeting! The Idla Man – Suit Jacket. Now, nothing says sophistication like a money clip. It has become increasingly popular recently, offering a more minimalistic way to manage your cash. Often made out of metal, this simple clip will hold together a handful of notes, radiating urbanity. Money clips are made from all kinds of metal - including gold if you’re feeling flashy - and can often be inscribed to give the clip a personal touch. In today's world, it’s not always practical to just carry cash. We often need our bank cards, driving licences or business cards readily available to us and, unfortunately, the money clip does not accommodate for that. This is where the money clip, or credit card wallet comes in. Whilst a clip is great to handle your notes, the money clip wallet also has a little section to store your cards. The money clip wallet borderlines the gadget category rather than the wallet category, but it is a stylish and useful way to keep your effects together. This FatCatLeather money clip wallet is a fine example of one of the best money clips out there. The FatCat is attached to a leather card holder modernising the original money clip idea - and despite the name, they're quite slim, making them the ideal front pocket wallet. 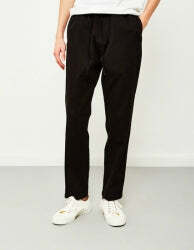 This is another fantastic accessory for any gent sporting slim fit trousers as it would sit in the pocket unnoticeably. The leather and metal also compliment each other really well giving off a rustic, yet classy appeal. 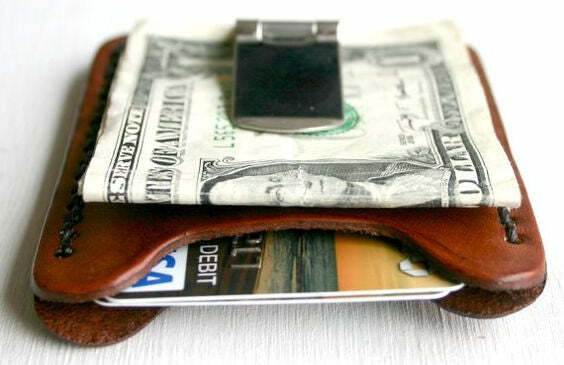 The money clip wallet would be best kept in a pocket. If at anytime it was loose in a bag or rucksack, the paper notes could get worn and ripped pretty quickly. It is also not ideal for change. But as long as you’re keeping it in your pocket and you don’t mind the change being loose, then there shouldn’t be an issue. Just don’t leave the coins in your pocket for the washing machine, remember? I won’t bring it up again. This again could be on the borderline of gadgets. But phone case wallets are a perfect way to keep all the necessities together. When do we ever really go anywhere without our phone and wallet? This is an obvious way to keep them together and is an effective time and space saver. No more crashing around the house looking for your phone or wallet, they’re right here together. Plus, it looks pretty suave too. 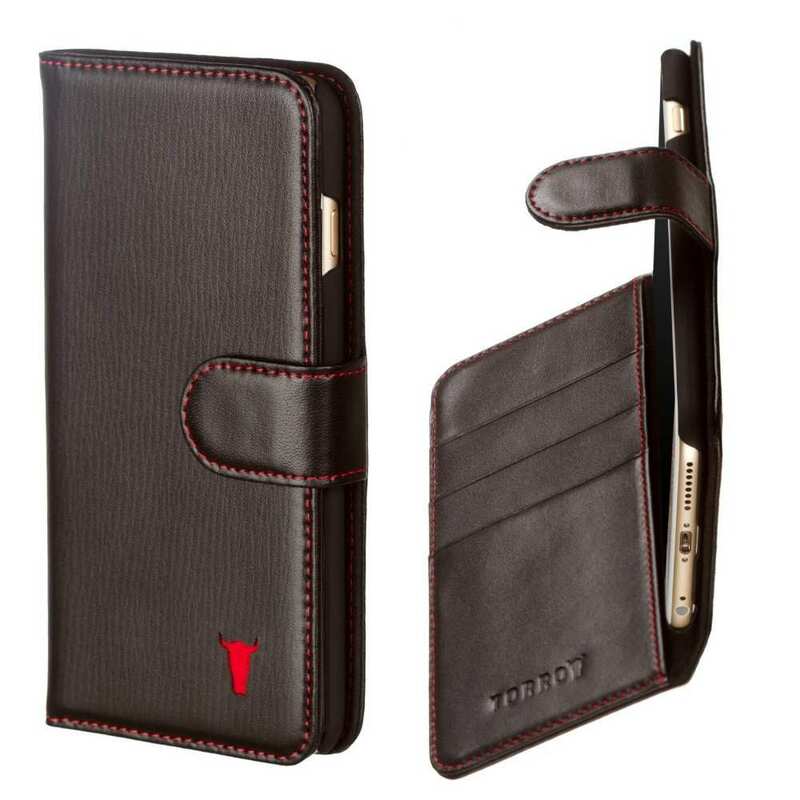 Torro Cases offers a fantastic style of phone case wallet made from real genuine leather. 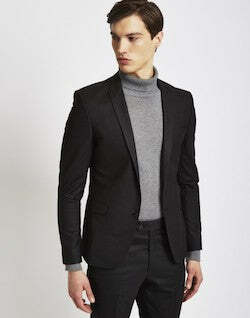 This style avoids the bulky look which could easily happen when putting together two of your everyday essentials. The sleek case offers a magnetic clasp ensuring your cards and bank notes will not fall loose. Whilst also protecting the screen of your phone. The red stitching and logo give this wallet a unique touch whilst keeping up its classy and mature appearance. It's not ideal if you sometimes like to go out and leave your mobile device at home. 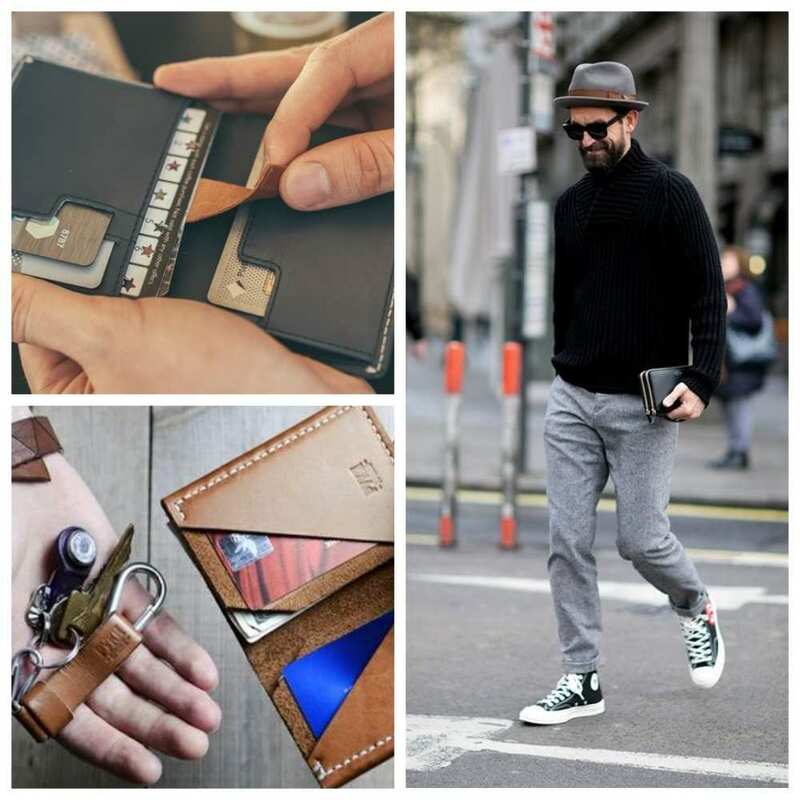 Phone case wallets are also more often than not made for the more mainstream smart phones. If your phone is ‘retro’, you may have a hard time finding a nice phone wallet case to accommodate it. 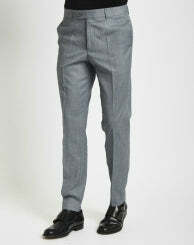 But again for our slim fitting jean lads, this may obscure the look you’re going for. Let's face it, while the variety of options available in a multitude of different materials is wonderful, nothing quite beats leather. The durability, versatility and the luxury feel of leather make it the perfect material for creating both bags and wallets. 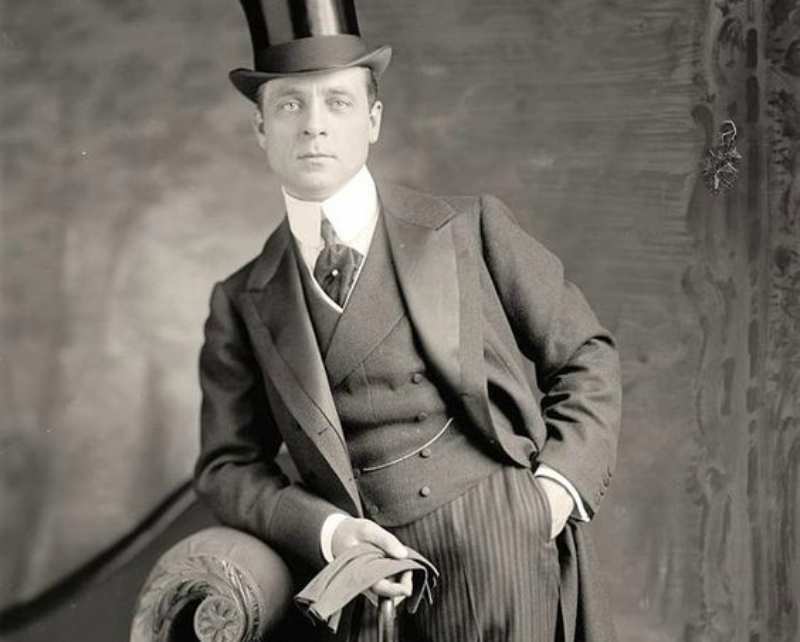 Leather, to this day, is still the most popular material for creating men's wallets. Typically speaking, your wallet is going to be with you everywhere you go, so it should be something that represents your personal style but also work with both your lifestyle and wardrobe. 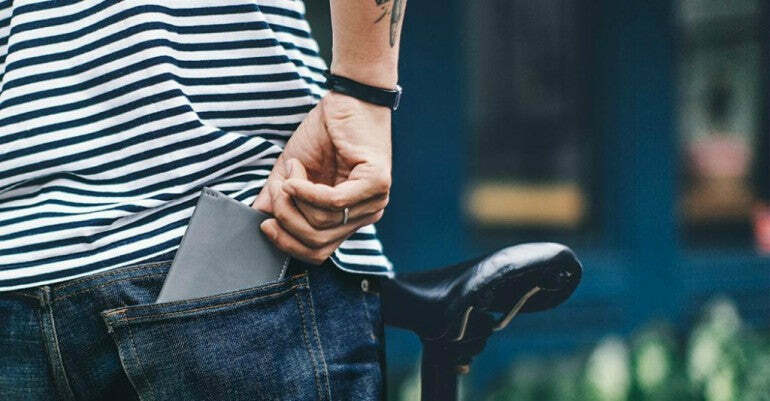 If you're still a little stumped as to what you should be going for, check out some of the best wallets for men below. The Bottega Veneta intrecciato leather coin wallet is a billfold style wallet in the brand's iconic Nappa woven leather. In a versatile black, we can assure you that if you pull this one out at the bar everyone will be impressed. The Alexander McQueen ribcage zipper long wallet is not for the shrinking violets among us. Available in a smooth black leather which features the renowned ribcage ripples, the wallet is finished with a gold zip-around and signature skull zip-pull. For the traditionalists among us, Mitchell Leather's vintage football card is made especially for the brand in a dark brown Dublin leather that will darken and patina beautifully over time. It's quite a slim shape, making it ideal for the man who wants to carry the essentials without the bulk. The Aspinal of London compact trifold wallet in black croc leather is a great option for the man who can't quite see himself with a McQueen zip-around, yet wants something with a little sartorial flair. It's completely silk lined on the interior and can also be customised with up to 4 initials. In the 19th century, wallets weren't only used to carry cash or passport sized photos of the kids. You’d often find dried meat and other little treasures in the leather pouch attached to a gentleman's belt. Unfortunately, the wallets we featured do not have a meat compartment, so please don’t get your hopes up. But many wallets do offer quirky little additions that can make organising your belongings a walk in the park so shop around. 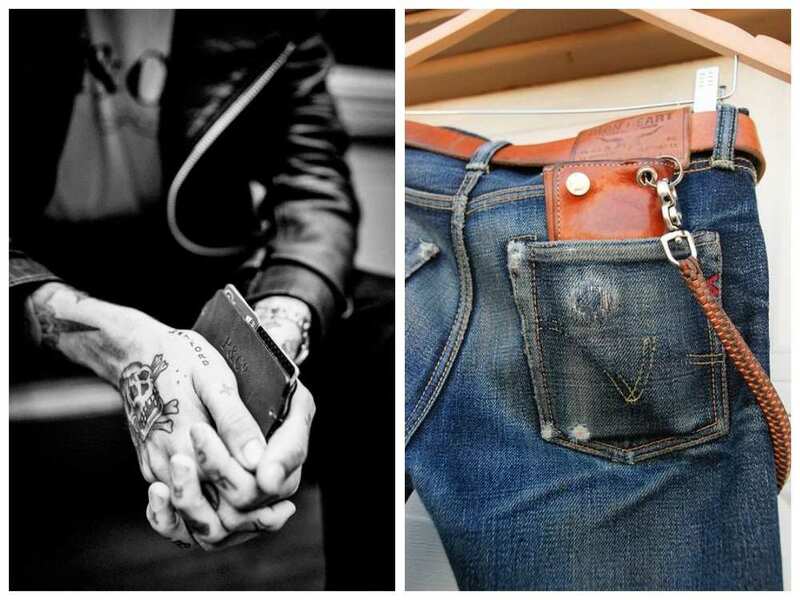 Bi-fold Wallets: ideal for the everyday guy, avoid if you're an avid skinny jean wearer. Slim Fold Wallets: great alternative to the bi-fold for those who prefer a sleeker fit. Zip Around Wallets: perfect if you dread the thought of loosing things - typically more suited to a casual setting. Money Clip / Clip Wallets: for those who carry cash, cards and little else. Phone Case Wallets: ideal for keeping everything together, obviously not for the technophobes among us. So there you have it, a wallet style for every type of man. Cool men's wallets are a great way to make a statement. If you’re used to wearing dark colours or you spend your weekdays in a suit, then add a bit of character and buy a wallet that really grabs you. When you have found a wallet with the perfect balance of practicality and style, then you have found the one. Have a look a the best wallet brands we've featured to start your quest.